A big “Thank you” to all of my clients for putting your trust in me in 2017! My heartfelt wishes to all of you for a blessed holiday season and a fantastic 2018! Here’s my gift to you! 1. We’re offering several free seminars to help parents and students to jumpstart their college admissions process. 2. Second, I’ve revamped my pricing to make it more flexible and affordable! Are you confused by the College Search and Application Process? 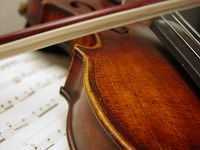 Do you know whether the ACT or SAT best shows your student’s talents? Have you considered how Career Planning is associated with the process? Have you figured out how to pay for it all and still retire? 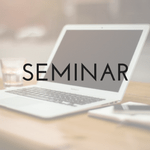 If so, this seminar is for your family! How to pay for college without going broke or having your student live with you forever! Location: LOOM, 120 Academy St., Fort Mill, SC. The cost is $5/person or $15 per family to defer the cost of refreshments. This entry was posted in Seminar on December 22, 2017 by cklaaradmin. In this post I’m sharing some excellent information from a colleague, Jeff Levy, of Personal College Admissions, a California college consulting firm. October 1 is the first day that anyone expecting to apply for financial aid can access, complete, and submit the FAFSA and CSS/PROFILE. All institutions require submission of the FAFSA for financial aid consideration. For current high school seniors expecting to attend college next year, the 2018-2019 FAFSA can be accessed and submitted at https://fafsa.ed.gov/ beginning October 1, 2017. About 250 colleges and universities also require submission of the CSS/PROFILE. This can be accessed and submitted at https://cssprofile.collegeboard.org/ beginning October 1, 2017. The deadline to submit these forms varies college to college. It is necessary to check each college’s website or financial aid office to know the final deadline for each. Missing these deadlines will seriously impact your child’s eligibility for financial aid. If you have any questions about whether you should or should not file, please contact me directly during the next couple of weeks, [email protected] or 803-285-1920. 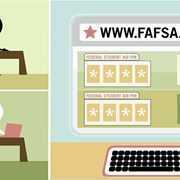 This entry was posted in Blog, FAFSA on September 20, 2017 by cklaaradmin. It’s summertime, and summer college prep may be the furthest thing from your mind. But even as you enjoy your summer break, you’d be wise to use this free time to your advantage. If you’re a rising senior, be aware of the fact that September will come all too soon. And by the time school starts, you should have a final list of colleges, so you can begin your applications. This fall will be a busy time, with essays, letters of recommendations, college applications, etc. Reading will help keep your mind fresh and help build language skills. You don’t need to read classic English literature – popular young adult books will do the trick. And take a book on vacation with you! Volunteer for an organization that you are interested in and passionate about. This is a great way to build your resume and to narrow down potential fields of interest. Earn some extra cash while taking on responsibility. Colleges like to see that you have responsibilities outside of your schoolwork. Make time to visit colleges you are interested in. Since school is not in session, summer may not be the most ideal time for college visits, but you can still get a feel for the place and visit again if necessary. Taking a family vacation? 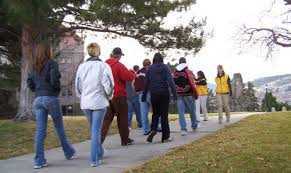 Plan to visit colleges along your way. Take time to think about what you want in a school, your interests, and what you would like to get out of your college experience. Long car rides to the beach are perfect for brainstorming. Have a fun and meaningful summer! For more information about how Klaar College Consulting can help lead you to college success, call us at 301-834-6888 and visit the many resources available on this website. 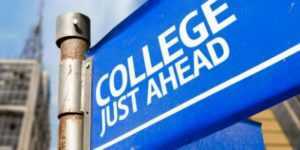 This entry was posted in Blog, Choosing a College, Summer college prep on July 10, 2017 by cklaaradmin. What will your letters of recommendation say about you? Will they make you stand out from other applicants? Here’s how you can ensure that you receive recommendations that help your college application to shine! First, who are the best people to ask to write a recommendation? time to ask your teachers for letters. Supplemental letters of recommendation: Coaches, employers, religious leaders, and other respected adults who know you well. How much time should you give the person to write the recommendation letter? Don’t make last minute requests and expect a great letter – or any letter at all. Give people at least three weeks to produce a good letter. What should the person writing the letter say to make you stand out? and give examples. Athletics, musical talents, leadership through scouting, sports, school or religious activities, and research in which you participated are all great examples. Volunteer activities – school or community service as well as religious groups or personal outreach activities. Most colleges require at least one standard letter of recommendation, but additional letters can help to create a more well-rounded picture of you. FYI – be aware that counselors do not have to alert you as to whether or not they will send a recommendation letter on your behalf. Follow up with your counselor to find out whether they have sent a letter. If not, it’s doubly important that you get a letter from a teacher or other adult as per above! This entry was posted in Letters of recommendation on April 28, 2017 by cklaaradmin. We are offering a rare spring sale on our complete College Consulting package! Whether your student is finishing his or her freshman, sophomore or junior year, spring is a great time to get started on college planning! This entry was posted in Blog on April 28, 2017 by cklaaradmin. Why do students sometimes choose a college that’s a really poor fit for them? Watch this short but informative webinar to find out how and why it happens. You could save thousands of dollars and avoid a lot of heartburn! This entry was posted in Blog on April 3, 2017 by cklaaradmin. Club Z! Tutoring, the nation’s largest in-home and online tutoring and test prep company, is hosting a FREE college prep webinar at 8 p.m. Eastern (5 p.m. Pacific) on March 22, 2017. The topic is how to avoid the top 5 mistakes when choosing a college. The topic for Club Z!’s March webinar is “The Top 5 Mistakes When Choosing a College,” which will focus on how to avoid common pitfalls during the college selection process. From using the wrong criteria (following a friend, for example) to not applying to a school based on your anticipated financial aid package, the webinar will explore issues that may lead a student to choose a school that ultimately is not a good fit. Hosting the call is certified Educational Planner, and Club Z! college admissions advisor, Charlotte Klaar, PhD. Please join Club Z! and Dr. Klaar on March 22, 2017 at 8 p.m. Eastern/5 p.m. Pacific for this important webinar. Attendance is absolutely free, but does require pre-registration as space is limited. To join us on March 22nd, click here to register. This entry was posted in Blog, Certified Educational Planner, Choosing a College on March 14, 2017 by cklaaradmin.